I’ve thought about going to the Unionville Museum for years. Literally years. It’s not far from my house and it is open fairly frequently. I figured it would be a quick visit and an easy check-off from my museum list. I was more right than I could ever have imagined. After a nice little hike with Calvin, we had some extra time so I swung by the little museum and finally checked it out. For those of you not familiar with Farmington, Unionville is the “downtown” part of town that’s not beautiful. The other “downtown” Farmington, where Miss Porter’s School is, is beautiful. For my money (this place is free), the most interesting aspect of the Unionville Museum is the building itself. It was originally a library. 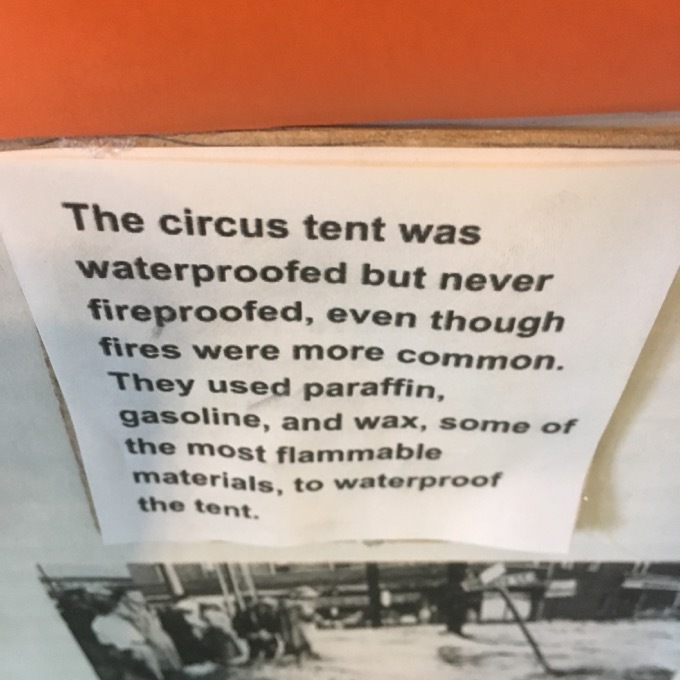 But not just any library; oh no, this was a Carnegie Library! There are still six Carnegie Libraries that are still libraries. And yes, I’m visiting them here. This is the only one now a museum though. 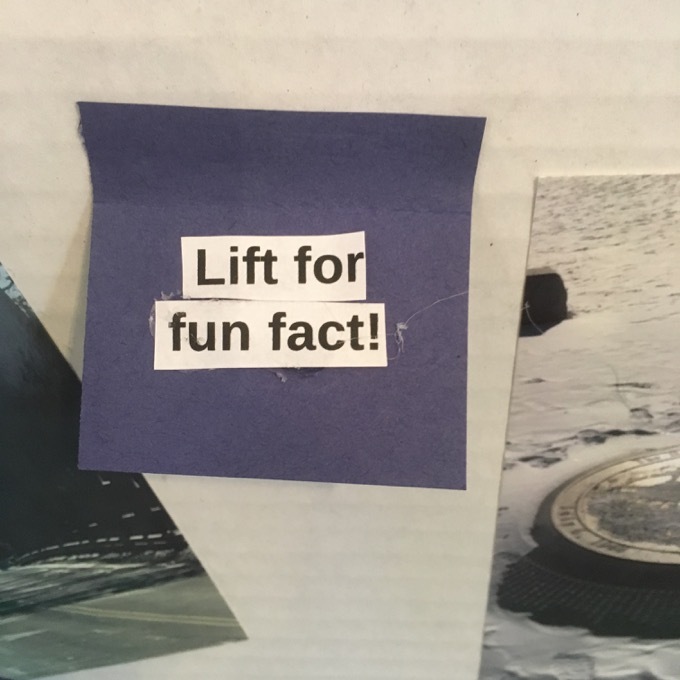 It’s well built. 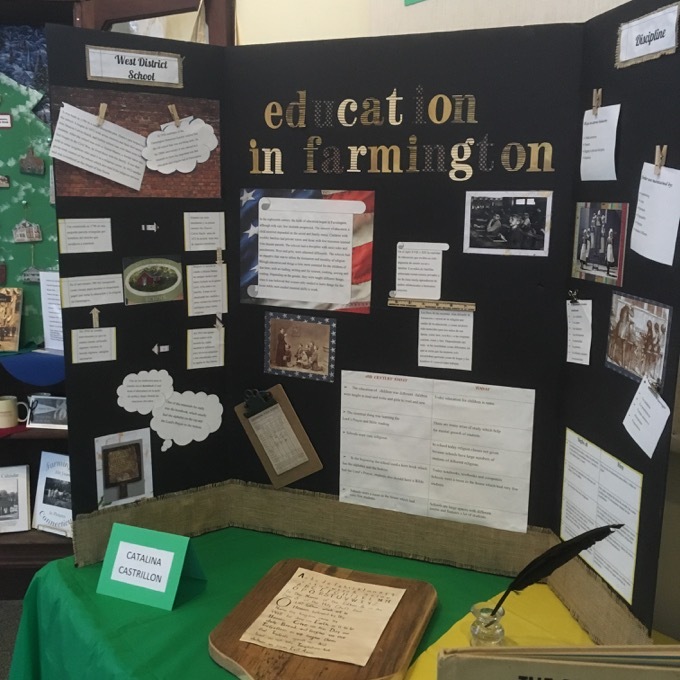 I know that because the guy who built it also built the Bushnell Memorial Auditorium, the Bond Hotel, buildings at Connecticut’s Westover and Loomis-Chaffee schools, and Theodate Pope’s home in Farmington (now the Hill-Stead Museum). The single-room interior retains almost all of its historic features including wall and ceiling plaster and varnished oak trim. The original brick fireplace centered on the rear wall opposite the front door has a marble bas-relief panel showing a classically themed “Triumph” set in the brick above a simple oak mantle. 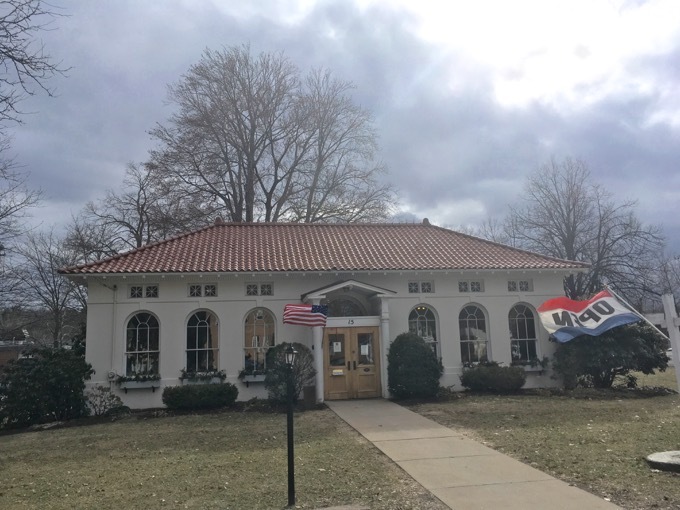 The building is architecturally significant as a well-preserved, diminutive example of the Renaissance Revival style typically used in the design of many village libraries across the nation at the time. 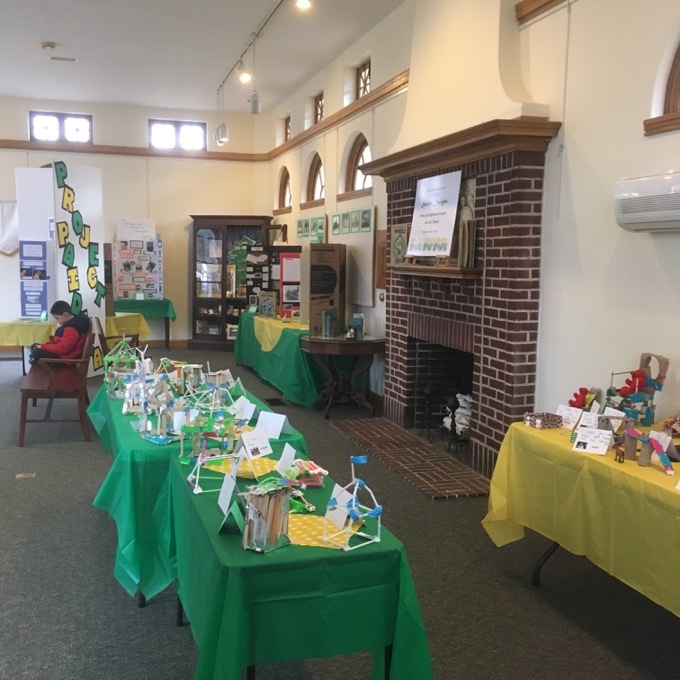 After serving as a library, it was the town’s senior center and then became the museum in the early 1980’s. I don’t know why, but I had thought it would be two levels. It is not. It is merely on rectangular room. From what I gather, the museum swaps out their exhibits wholesale every six months or so. I’m not sure they even have any sort of a permanent collection, other than the building itself and a few pieces of furniture. 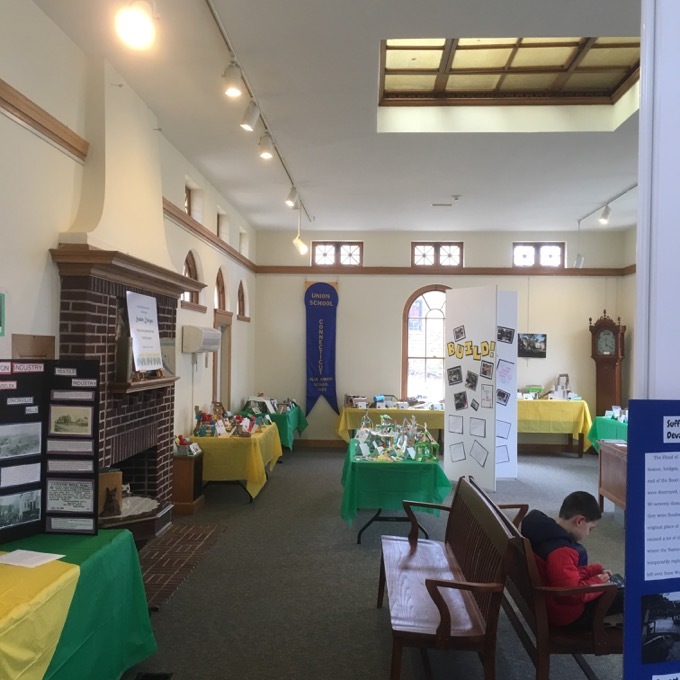 Half of the room was taken up by history displays by 8th graders from the Irving A. Robbins Middle School and engineering projects by kindergartners from nearby Union School. 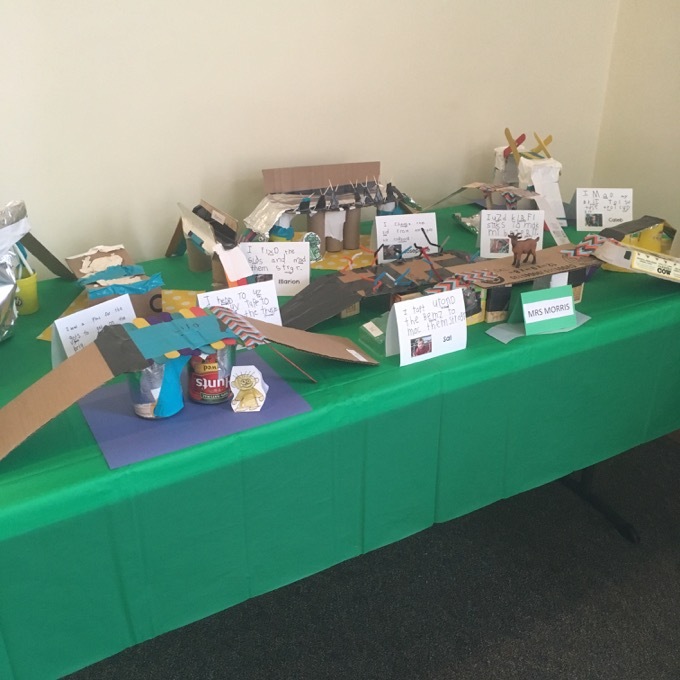 So basically, my visit to the Unionville Museum was a visit to a museum half created by 8th graders, and half created by kindergartners. 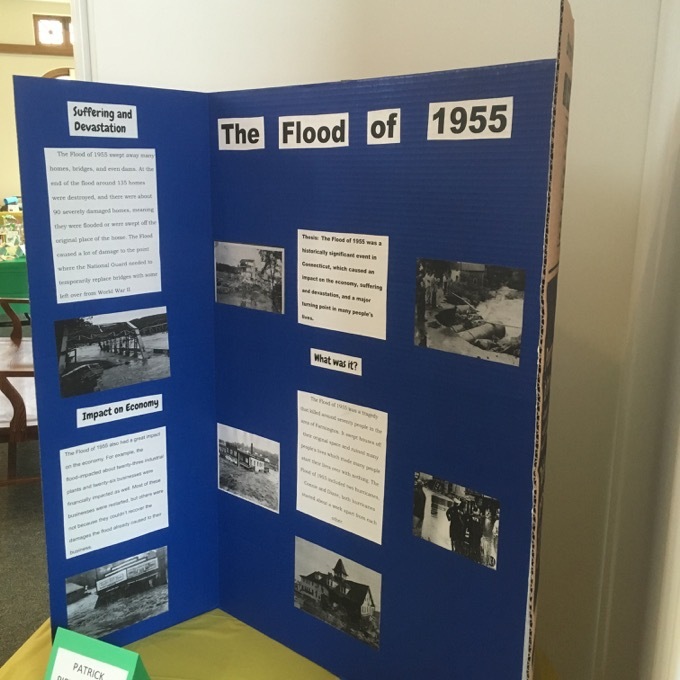 The 8th graders seemed to focus heavily on the flood of 1955 which pretty much destroyed downtown Unionville. 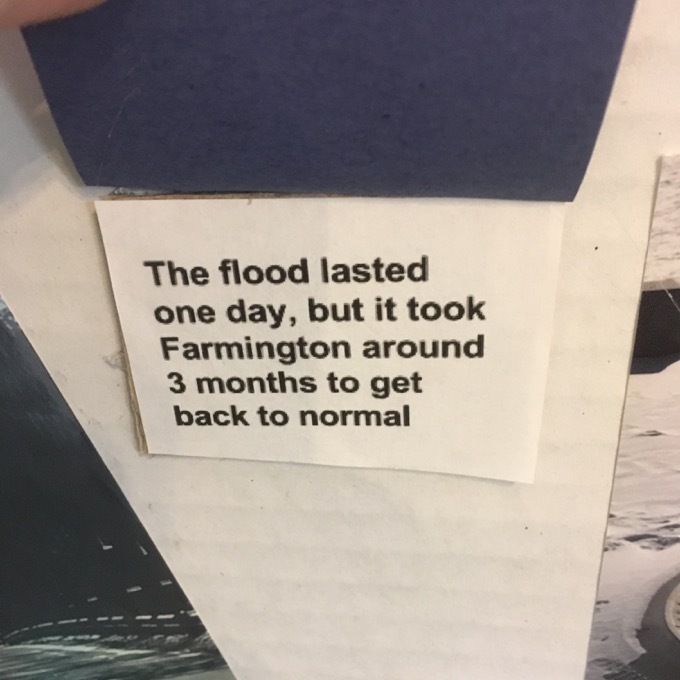 I did learn that there are flood-level markers up route 4 “towards Farmington” as the docent told me (remember, Unionville is part of Farmington, but that’s how it is in these fake towns) which I was excited to see. 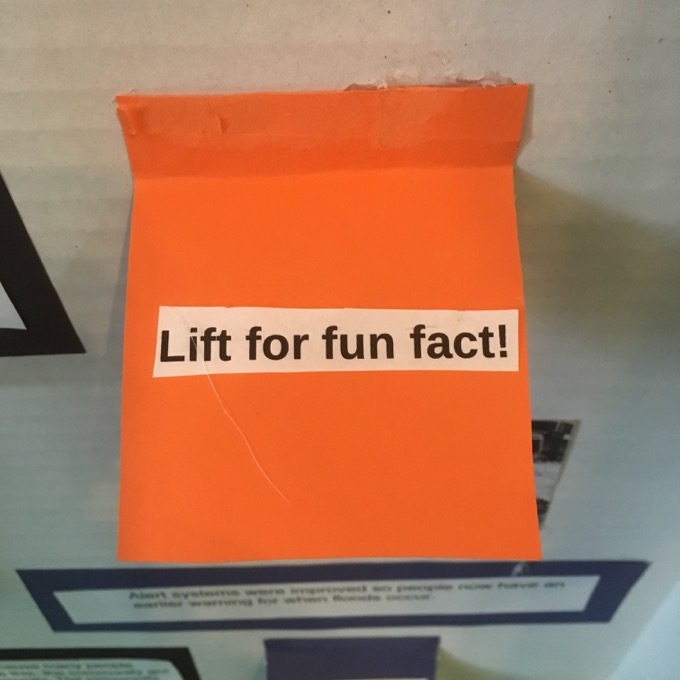 Calvin and I poked around the kindergarten projects and, well, you know how it is with first graders. Kindergartener work just isn’t all that impressive. Their spelling is atrocious and their coloring is outside the lines. Sigh. Yes, oh-wise-six-year-old one, the world has so much to learn from you. 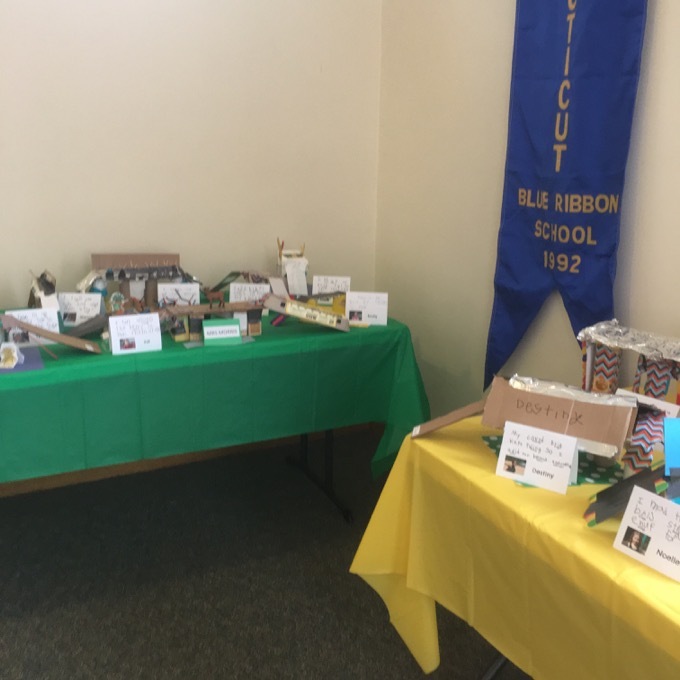 It’s pretty cool that these kids put in some work and were displayed in the town’s little museum. I must admit that my visit lasted all of ten minutes, and five of them were me being kind to the lovely woman there. She did ask Calvin if he went to the schools and it was then that I realized that she was probably a little weirded out by out-of-towners in for a visit. Oh well, we’re used to that. 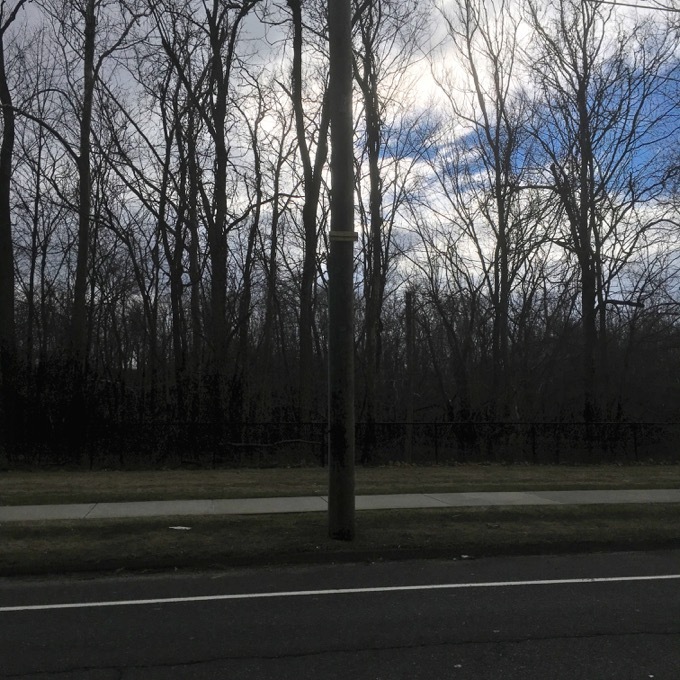 You can’t see it, but I did find the flood markers. The level here was about 12 feet. 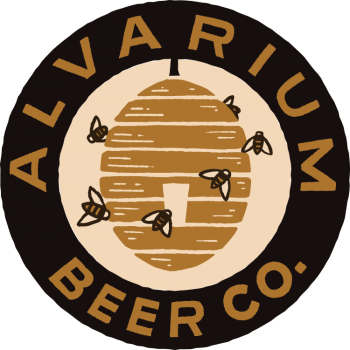 CT H4H: Alvarium Beer Co.